The Vida; a nice round side table from Woood. The table has a white marble look porcelain top with a slim black metal base. The table frame has beautiful connections. Industrial chic! 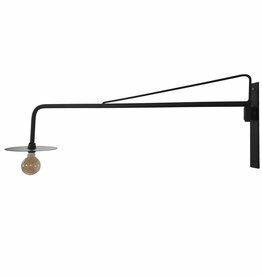 Black metal wall lamp or swivel lamp Arm from Stoer Metaal. 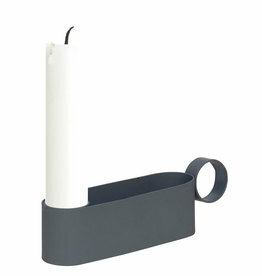 Black magazine rack Lucie van Woood. 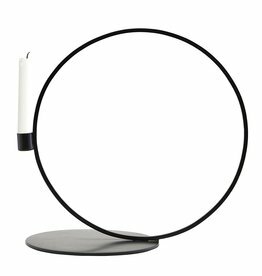 Candlestick Cirque with a round shape from House Doctor.